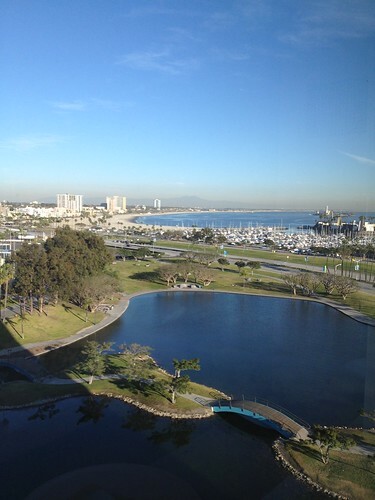 The view from my hotel room is pretty spectacular! 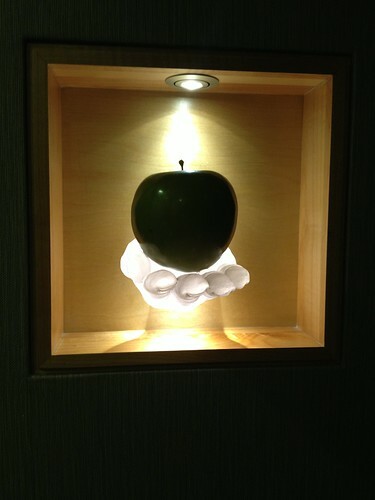 This light-up hand/apple nightlight thing is a little weird. It's in my room outside the bathroom. Yesterday, I took a little walk by the water and just enjoyed the change in scenery. I talked to Alex last night and it was snowing at home. Definitely not the case here! Last night I went to dinner with Carrie and friends and had a great time. It was great to talk to another designer and hear more about her process and business and everything. Very good night. Today I hit the show floor, petted some yarn, talked to some people. 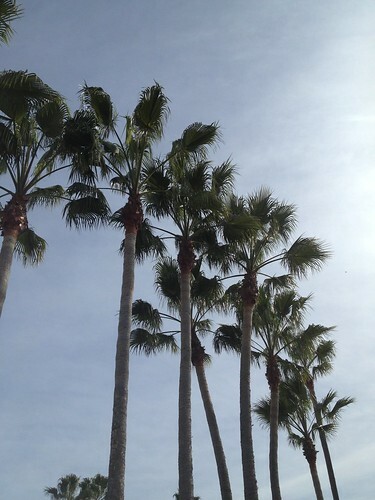 It's hard not to be totally inspired here. I have so many new ideas rolling around in my head already. 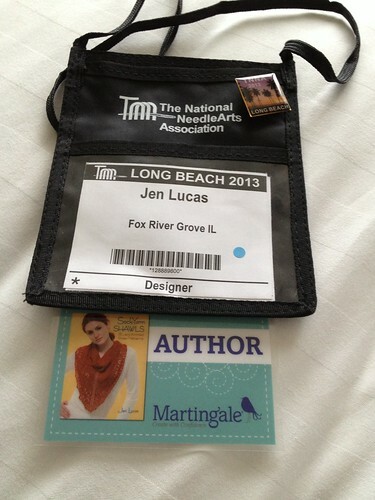 Tonight, I'm headed to the designer dinner and then more yarn petting and networking tomorrow. Monday, it will be book signing time. I'm very excited about that!